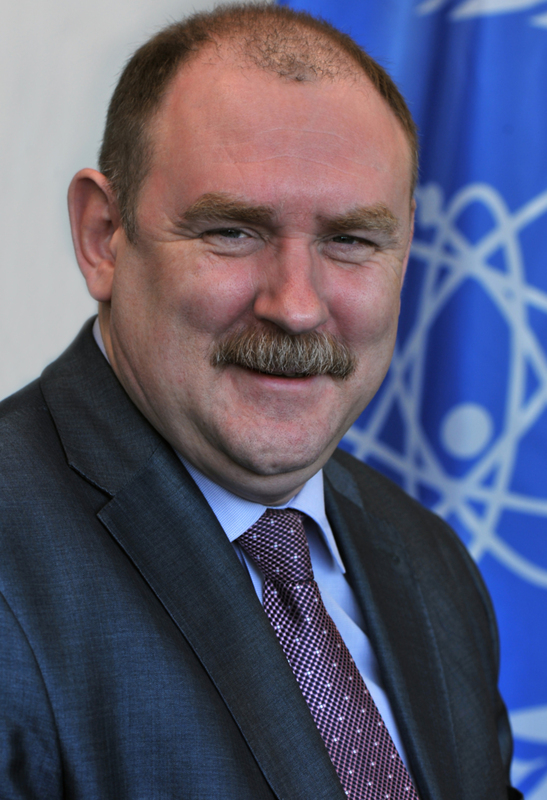 Alexander Victorovich Bychkov joined the IAEA as Deputy Director General and Head of the Department of Nuclear Energy in February 2011. Before his appointment at the Agency, he was Director General of the Research Institute of Atomic Reactors (RIAR) in Dimitrovgrad, Russian Federation, and, after RIAR's privatization in 2008, Director of the Joint Stock Company State Scientific Centre RIAR. Mr. Bychkov joined RIAR in 1982 after graduating from Moscow State University where he studied chemistry. At RIAR, he worked progressively as an engineer and researcher, Head of the Fuel Technology Laboratory, Head of the Fuel Cycle Department, Director of the Chemical Technological Division and Deputy to the General Director until 2006 when he was appointed Director General. He took over the position of Director General of RIAR during a period of crisis and managed to restore stability of its work, enhance productivity and increase RIAR's main safety indexes. His experience and main areas of activity cover molten salt chemistry, the chemistry and technology of actinides and nuclear fuel, the closed fuel cycle including all aspects of the fast reactors fuel cycle, spent nuclear fuel reprocessing and high-level waste treatment, hot laboratory techniques, radionuclide technologies and applications of research reactors. He is a leading specialist in the field of non-aqueous methods of nuclear fuel reprocessing (pyro-processing). In the 1990s, Mr. Bychkov began researching the partitioning and transmutation of minor actinides in the fast reactor closed fuel cycle (DOVITA Programme). From 1997 to 2002, he led a team of scientists studying the pyro-conversion of weapons plutonium to MOX fuel, as part of a US-Russian cooperation. From 2001 onwards, he also led RIAR efforts within the framework of the Russian-USA Global Partnership on the return and treatment of highly enriched uranium (HEU) from research reactors in other countries. Mr. Bychkov earned his PhD in 1998. He is a co-author of more than 150 scientific works and holds ten patents.